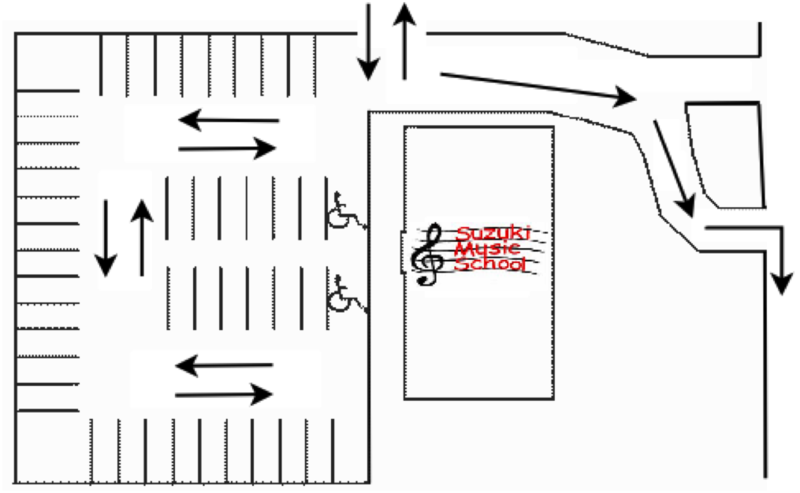 Please reserve the two parking spaces closest to the school for handicap parking. No parking in the front (east) of the school building. Please maximize the space available in the lot by parking immediately beside the previous car. If the occupants of that car are unloading, wait for them to finish and then park immediately beside the car. Do not try to judge a car distance away or park next to an open car door. While this seems logical, it inevitably leaves unusable space. Wherever you park, please be vigilant about children and obstacles in the parking lot. The school cannot foresee every possibility, so it is important for individuals to be alert to their environment. Please bring any safety concerns, whether in regard to the school building or the parking lot, immediately to the attention of a member of the board of directors. No playing behind the parking lot. Enter and exit the parking lot from the north of the School.